V 2 Asalutasutagan dam, emergence. 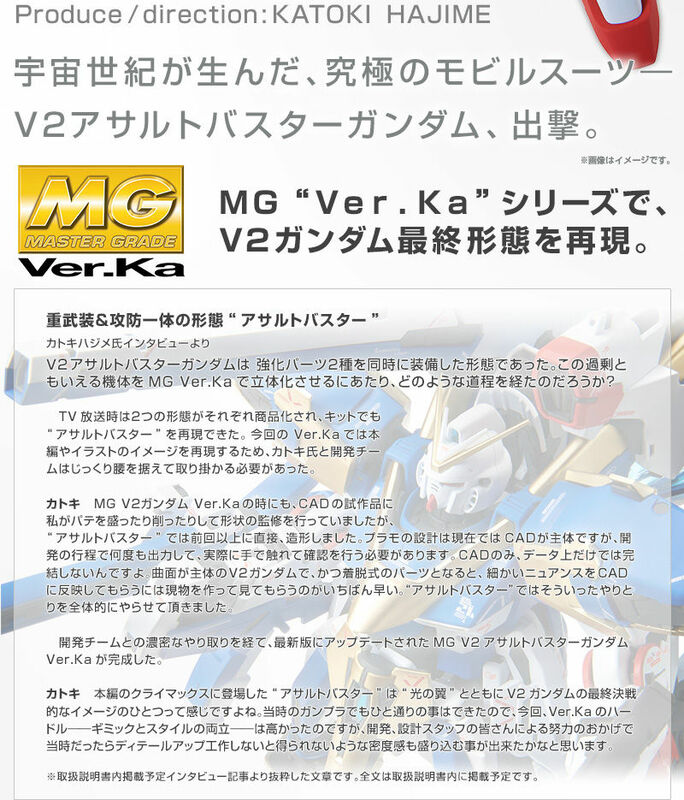 MG "Ver.Ka" series, reproduces the final form of V2 Gundam! Reproduce the additional armament of the whole body with new modeling. Coloring renews the molding color, reproduces the texture that is heavy. ● Gimmick and style compatibility. 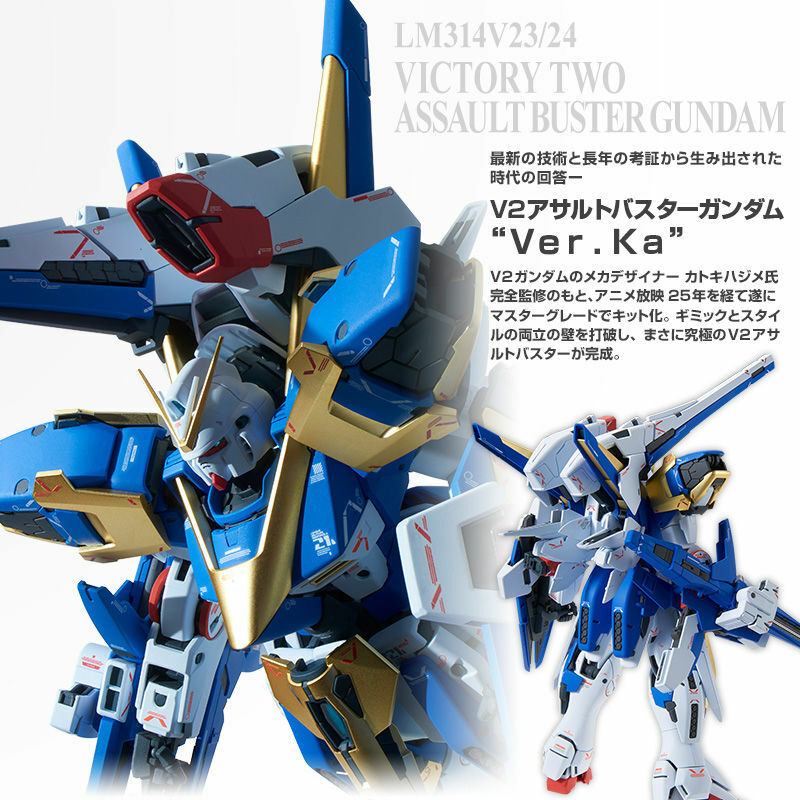 Indeed <Ultimate> V2 Assault Buster Gundam "Ver.Ka"
Heavy Armor & Battle Uniform Form "Assault Buster" Reproduced additional arms of whole body with new shaping. Reproduction of a long mega beam rifle consisting of a barrel unit and a control unit by new modeling. The barrel part is slidable, the grip part, the shooting sensor, and the exhaust heat fin have deployable gimmicks. The waist bars of both waist are reproduced by new modeling. Expanded state can be reproduced by slide gimmick. 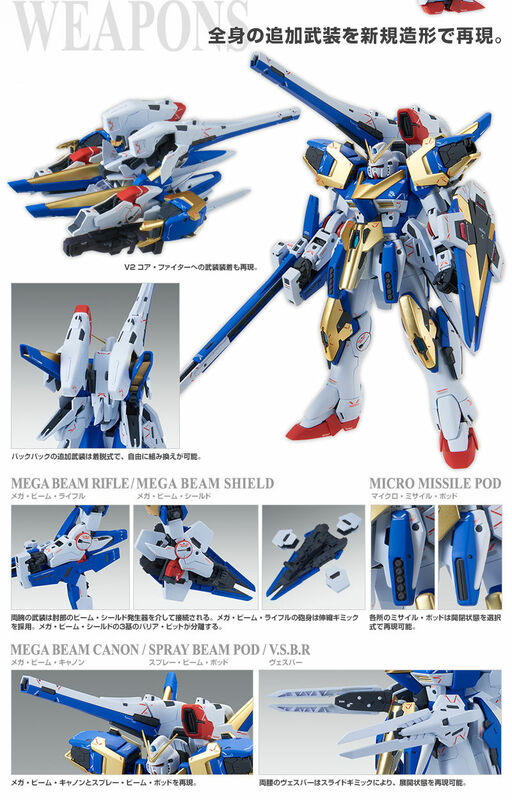 Reproduced mega beam shield with new modeling. Three barrier bits can be separated and removed. The six missiles / pods of the waist and legs reproduce the hatch opening / closing state in parts selection formula. Add back backpack Armed mega beam cannon and spray beam pod are reproduced with new modeling. 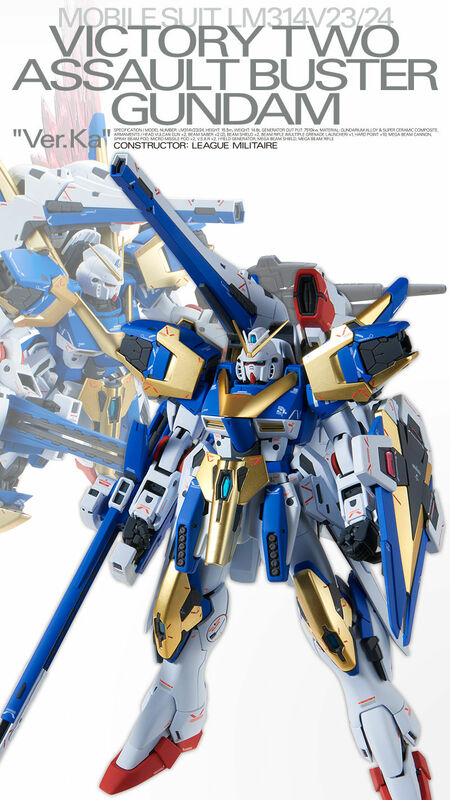 The assault form of heavy armor strengthening, the buster form reinforced heavy armed are each detachable and can be reconfigured freely. Adopted matte gold plating on characteristic yellow · gold part. Furthermore, red, blue and white parts are renewed to the molding color which reminds of the animation of the time. In order to retain the rich equipment group of "Assault Buster", an internal frame of the new structure and updated parts of some exterior are attached. 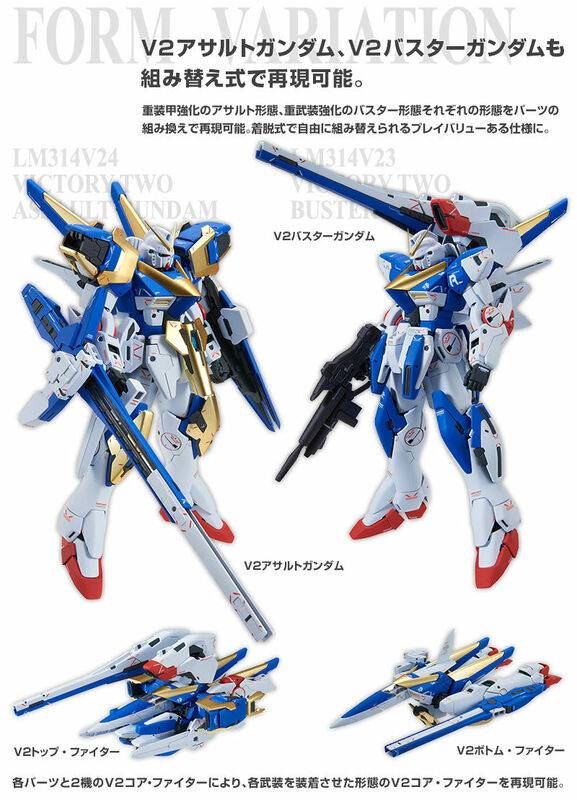 Enjoy V2 Assault Buster Gundam with "Ver.Ka", marking of new design comes with a water transfer type decal. A full color package that adopted a new drawing drawing illustrated by Mr. Kataki Hajime. · Adhesive is not used for assembly.